$395 each. Vintage antique pair of large Roman ruins prints in mirrored frames, c. 1960. 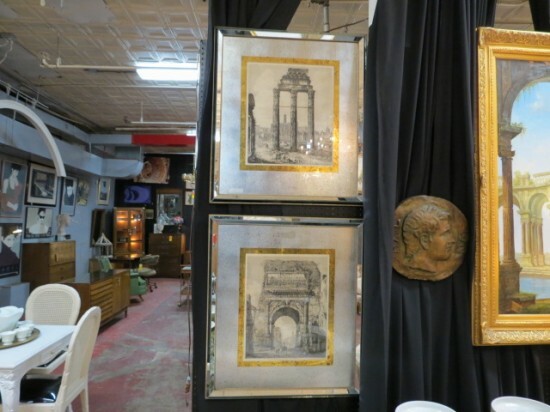 Prints of 1821 etchings of roman ruins, matted with gold and silver foils, with mirrored frames. Make a dramatic statement in your living room or dining room. Excellent condition. 28in wide, 32in tall, 2in deep.